Bulletin boards… a blessing or a curse. I seemed to need “inspiration” at the beginning of the year. If you are struggling with ideas, let me should you a few GREAT Back to School Bulletin Boards I recently found. A few weeks ago I was the keynote speaker at the NEAEC Conference which is organized by the fine folks at Big Spring Lake Kindergarten School in Alabama. We had a fantastic time! When the day came to a close, I asked the principal if I could take a few pictures of her school to share on my blog (honestly, I fell in love with this school). Here are a few that I caught in the hallway. What a great way to highlight the great press your school and students are receiving! If you are familiar with the Ron Clark Academy and his house system, this is their kindergarten version of it. Students are divided into houses. When the year starts the bins on the bulletin board are empty. Then as students gain house points, they colored shapes are placed in the clear containers. The shapes are counted each quarter for house awards. I love this idea! Here is another great chart I spotted. Just because it is cute! I really did ask for permission before I went lurking about, but this library had my heart! Love it! I had a fantastic time at this conference. 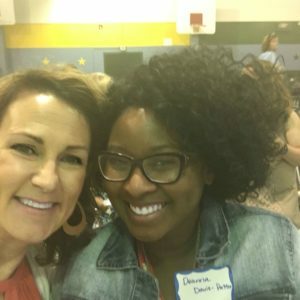 I met another Deanna! She was adorable! And did a little shopping too! (Shhh… don’t tell). Seriously, it was not my fault. 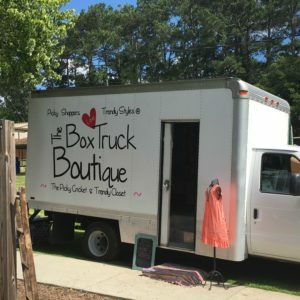 This truck was set up RIGHT outside where I presented. 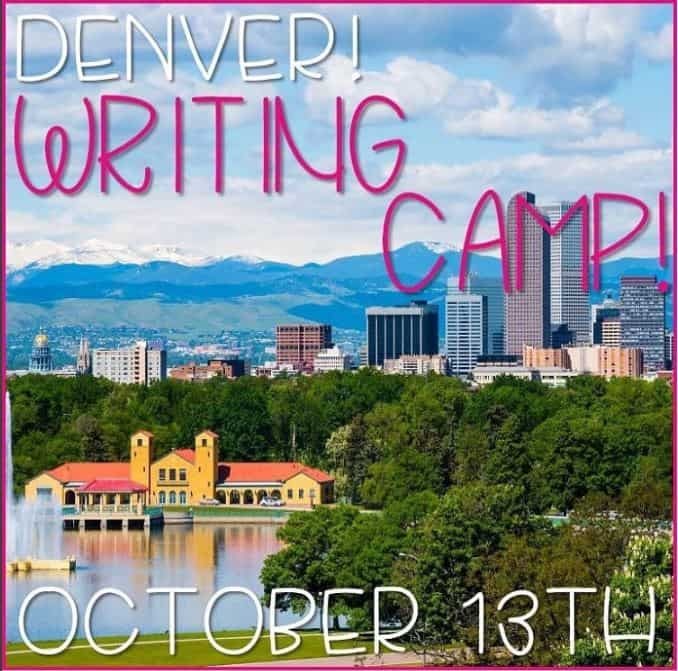 Speaking of presenting, … here is my next conference! You can read more about this conference by clicking HERE. 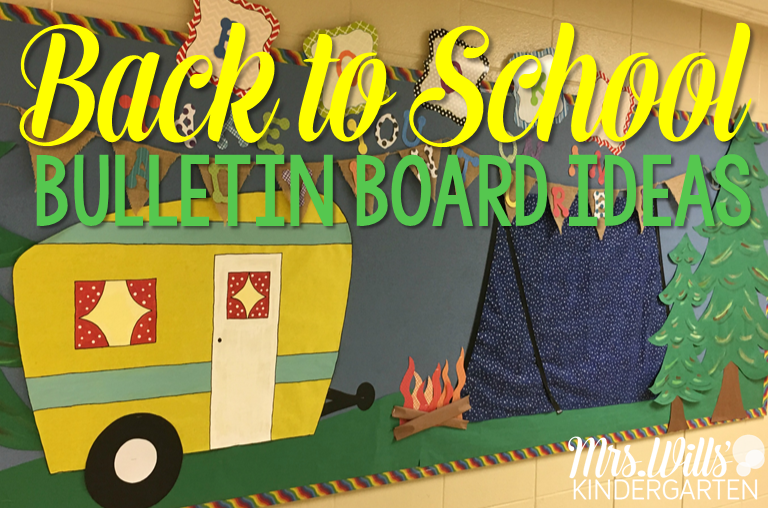 How are your back to school bulletin boards coming? You can see some of mine from the past HERE. I love the “Books Take You on an Adventure” board- I am obsessed with the camper! I am so impatient to get back into my school and start working on updating my boards! This post made me envious but inspired- thank you! Love the school wide character bulletin board and concept! We loved having you at our school!! I love the “Books Take You on an Adventure!” bulletin board. Did you make the letters or were you able to purchase them? I am also interested in where you found the cutouts on which you placed BOOKS. Thanks so much! I am actually not sure. I did not make these bulletin boards. They were just posted in the building where I was holding a conference. I wish I knew! Yes! Yes! That is what they modeled it after. They seem to really love it!